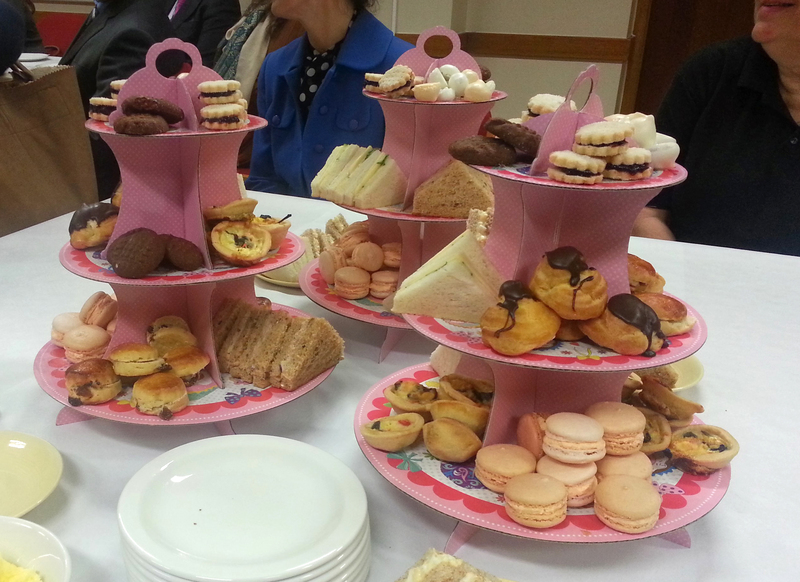 On Thursday 30th January 2014, Kingsbury High School’s Governors were invited to the school and treated to a lavish cream tea. School Chef, Dean Bolton, was in charge of the catering for the event and decided to call on some help from three Year 9 and three Year 10 students. 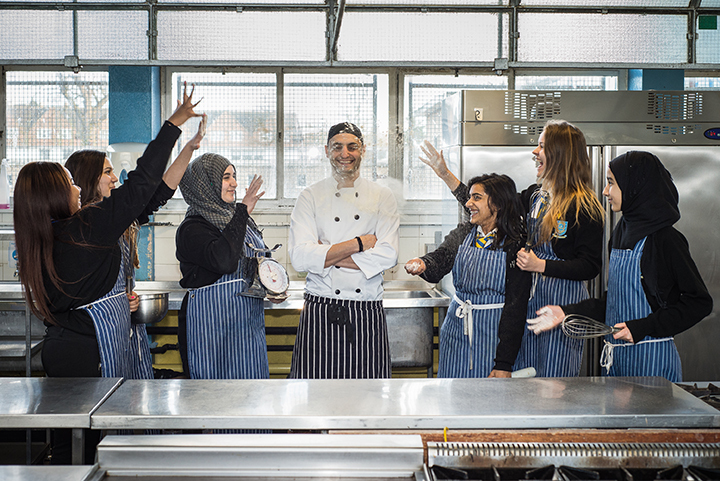 The students were given the opportunity to work in the school kitchen for the day to experience, first hand, the pressure of working in a professional kitchen and to a tight deadline. The students each chose one or two items to prepare from start to finish and were supervised and mentored by Dean. He said “The students had previously been observed and mentored by me in one of their cookery lessons and I selected them for this opportunity because they showed real flare and potential in the kitchen. The governors arrived to see a spread of vegetarian quiche, chicken & potato pie, macrons, scones, shortbread, profiteroles, chocolate whoopies and for some added glamour, some glitter meringue droplets. The students will be recognised for their achievement in a school assembly and will be treated to a free breakfast club meal. 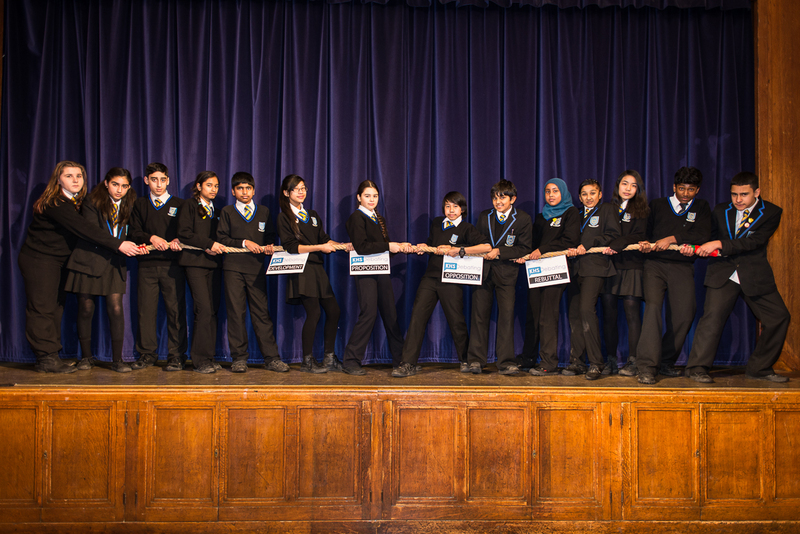 On Thursday 30th January 2014, Kingsbury High School hosted one of the first rounds of the Artemis Urban Debate League. Part of Debate Mate, the Artemis Urban Debate League is a cumulative tournament which takes place over three rounds across the country, and concludes with a finals-day competition for the top eight schools in the league. Up to 100 students from Kingsbury High School, Capital City Academy, Convent of Jesus and Mary Language College, Preston Manor and Alperton High School attended the event. The students engaged in debates on challenging topics from the legality of spying to the viability of the death penalty. Kingsbury High School will go on to compete in the next round which is due to take place in March.